Dark energy was “discovered” unexpectedly in 1997 (published in 1998), when a survey of relatively nearby Type Ia supernovae found something strange. These supernovae should all have about the same intrinsic luminosity. But instead, using assumptions current at the time about the rate of expansion of the universe, the farther away these supernovae were the less their intrinsic luminosity would have to be. The problem was that this prediction of distance was too small for the observed luminosity. Otherwise stated, if the remote supernovae were actually as close as the distances calculated by Hubble’s law, they could not be as luminous intrinsically as more nearby supernovae. However, this problem would go away if there were an error in calculating the correct distance from Hubble’s law – which could happen if something now called “dark energy” existed. In order to verify this hypothesis of dark energy, there are several reasons astrophysicists want to have another type of standard candle besides Type Ia supernovae for gauging very large distances. Ideally another type of standard candle that doesn’t depend on the behavior of Type Ia supernovae and works out to much larger distances could be identified. Astrophysicists have suspected that another type of supernova, which is responsible for a much more energetic pulse of electromagnetic radiation – a gamma-ray burst – can fill the bill. Research just announced has studied the properties of relatively nearby gamma-ray bursts and identified certain characteristics that allow predicting the intrinsic brightness of the burst. Comparing that brightness to what’s actually observed determines the distance of the event. Dark energy is the basic constituent of the Universe today, one that is responsible for its accelerated expansion. Although astronomers observe the cosmological effects of the impact of dark energy, they still do not know exactly what it is. A new method for measuring the largest distances in the Universe developed by scientists from the Faculty of Physics, University of Warsaw and the University of Naples Federico II helps solve the mystery. A key role is played by the most powerful cosmic explosions – gamma-ray bursts. What is the nature of dark energy, a recently discovered dominant constituent of the Universe today? 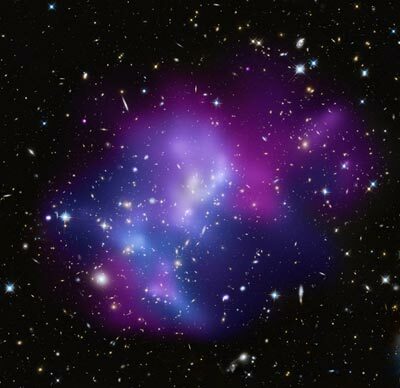 Is expansion-accelerating dark energy an intrinsic property of space-time itself or rather a field unknown to science? A new distance-measuring method developed by scientists from the Faculty of Physics, University of Warsaw (FUW) and the University of Naples Federico II can provide the answer. “We are able to determine the distance of an explosion on the basis of the properties of the radiation emitted during gamma-ray bursts. Given that some of these explosions are related to the most remote objects in space that we know about, we are able, for the first time, to assess the speed of space-time expansion even in the relatively early periods after the Big Bang,” says Prof. Marek Demiański (FUW). 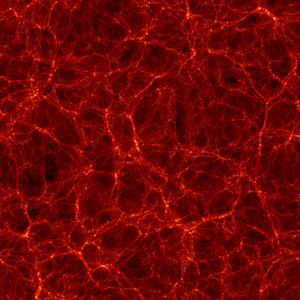 The method was used to verify models of the structure of the Universe containing dark energy.